* Rick Springfield *, The Band:, Siggy Sjursen, Jorge Palacios, Tim Gross, George Nastos. 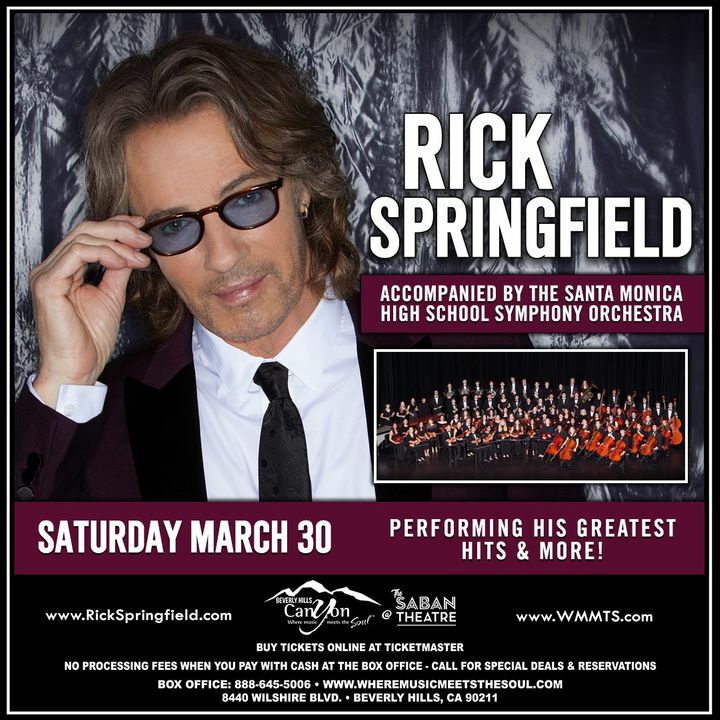 Hadn’t seen Rick Springfield in 35 years. Why? I’m not sure, but I should have went earlier. It was a cool show. The place was packed as he sang his hits, showing slides with great pics as talked about his life and people he’s met. I could’ve listened longer. He was in a blues band - who new - and he played great. Looking forward to his next performance. New Year’s Eve at Foxwoods with Rick Springfield was a great time!!! The concert was so much fun and full of audience participation!!! Our group spent the night dancing, singing, laughing, and making friends! Thank you Rick, and Foxwoods! Great show as always! Rick managed to put on his happy face and entertain us with a lively show even though he had the worry of his home during the fires in California. He is an amazing artist! It was a fabulous show !!! Rick is a great musician and entertainer. Love the way he interacts with the audience. Great fun for all. So thankful for his dedication to his work and fans !!! It was great! It was a full band show and Rick is the best at getting the crowd engaged. Sensational energy for a 69 year old man who is just a kid at heart. I just wish the concert was longer than 90 minutes.